I am back from the CHNT conference, which was held, like every year, in Vienna. There I had many feedbacks and the possibility to speak with colleagues regarding common problems in our profession (soon I hope to report some feedbacks from the session I was attending). Today I would like to write a fast post about time visualization in GIS for archaeological aims, because I was asked by our friend +Undine Lieberwirth if we ever faced with this topic and especially if we ever used TGRASS. The answer is yes and this reminded me that we never wrote something about it, so I would like to start here a series of post dedicated to chronological GIS visualization with open source GIS in general (and in particular about some non conventional and alternative use of it), considering also the 4D visualization tasks. By the way, today I will start with something simple, just showing an interesting tool of +QGIS : the Time Manager plugin. The video below is just a fast demonstration of this tool, with some data coming from an excavation we performed between 2009 and 2011 in the church of S. Giovanni at Massimeno. The raster time series regards the different architectural phases of the structure (from XI to XXI century) we recognized during the excavation. That's all for now. Have a nice day! As time goes by we noticed that the post we should write are always more and more, while our free is decreasing. 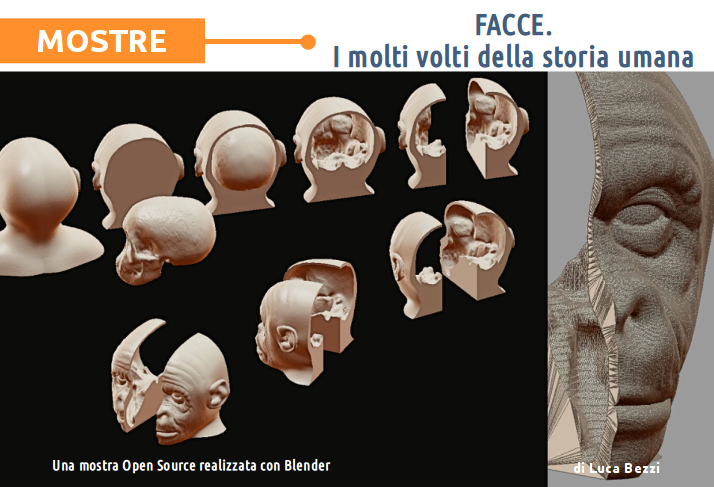 Today I have a little bit of extra-time, as I am travelling on the train, so I decided to publish some other data referred to the open source exhibition "Facce", we organized in Padua in 2015 (from an idea of the curator of the Anthropological Museum of the University Nicola Carrara). As maybe you know, the exhibition was based on the topic of human faces and one section ("Guardiamo in faccia la diversità umana") was dedicated to human evolution. This section has been presented this year also in Genoa (in the Doge's Palace) at the Science Festival 2016. We already published some of the 20 facial reconstructions of hominini, performed with the technique we developed (Coherent Anatomical Deformation). As always, the Facial Recosntruction has been performed by Cicero Moraes (Arc-Team), while the scientific validation has bees done by Telmo Pievani and Nicola Carrara (University of Padua). 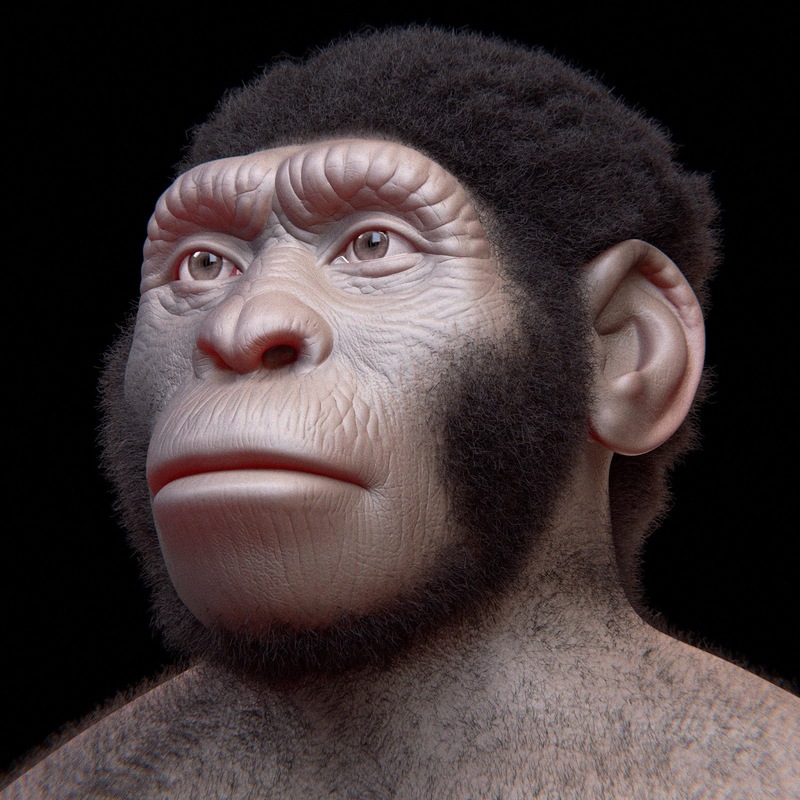 On the contrary of what happened for most of the other paeoartistic reconstructions, this time it has not been necessary to scan the cast of specimen, but we could use directly the composite skull of Homo naledi (based on DH1 and DH3), constructed by Prof. Peter Schmid in September 2015, as a Courtesy of the University of the Witwatersrand and the Dinaledi project. The files were downloaded from www.MorphoSource.org, Duke University. Watch in the last chapter of Arc-Team's "Torre dei Sicconi" series our idea of how the castle looked like in the Middel Ages. After surveying, digging and historical research, we have started to think about, how the castle was looking like in the Middle Ages. Photos from the beginning of the 20. century, archaeological finds, 3D models, the comparison with similar, preserved castles: This are the bases for the virtual reconstruction made by Cicero Moraes. 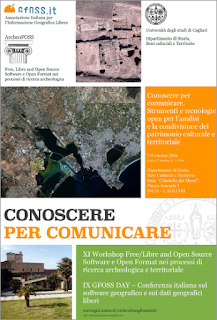 here is another quick post, this time just to notify that, thanks to the effort of Antonio Manacorda, +Stefano Campus and +anna maria marras, the Book of Abstracts of ArcheoFOSS and GFOSS 2016 is already online. And here you can read the abstract of our three contribution, regarding the development of ArcheoROV, geTTexture and the Red Lake Project. Blender Magazine Italia is back! this quick post is just to report the news that Blender Magazine Italia is back! Moreover, today is online the 18th number of Blender Magazine Italia, which can be read directly online here, or downloaded as a pdf here. In this number is included also an article about the Open Source exhibition "Facce. I molti volti della storia umana", which has been realized with just Free/Libre and Open Source Software and in particular with Blender. The article about the exhibition "Facce"